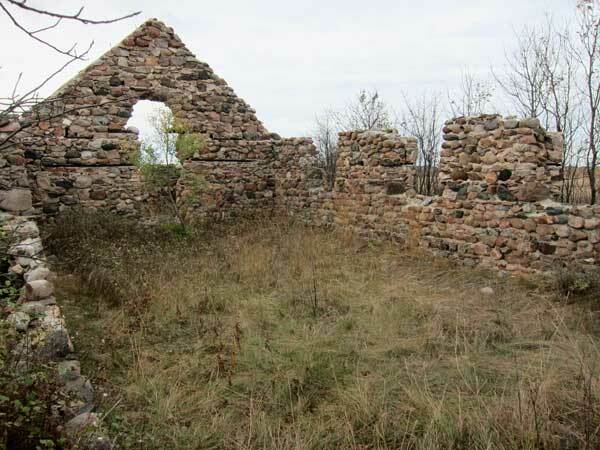 Known formally as St. George’s Anglican Church, local names for this abandoned fieldstone structure in the Municipality of Two Borders were Butterfield Church and Copley Church. Through the fundraising efforts of Goddard F. Gale, construction by local settler William Cornwallis Bate began in the autumn of 1890 and the church was ready for use by the spring of 1892. On 4 September 1892, it was consecrated by Bishop Robert Machray, assisted by Canon S. P. Matheson, Reverend Charles Wood, and Reverend Frank Mercer. 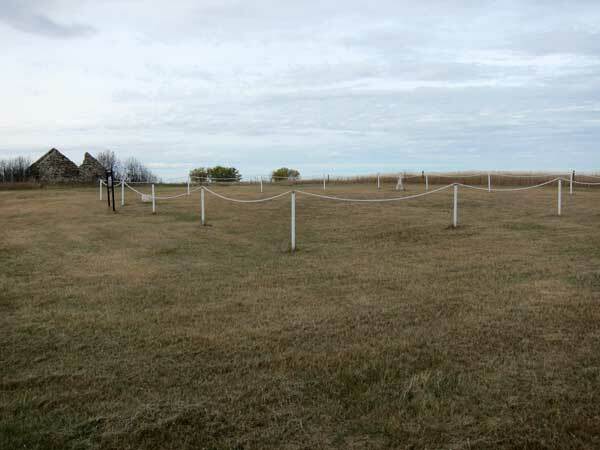 The first burial in the associated cemetery occurred a month later. 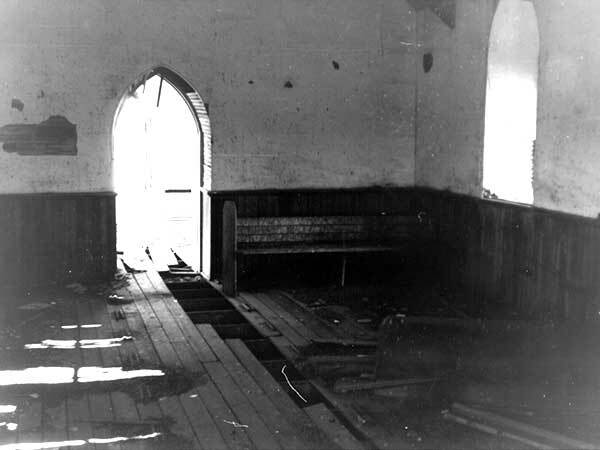 As settlement in the surrounding area waned, church attendance diminished until the building was deconsecrated in June 1913. Church equipment was taken to a new building at Pierson while the organ and pictures were taken to Eunola School. 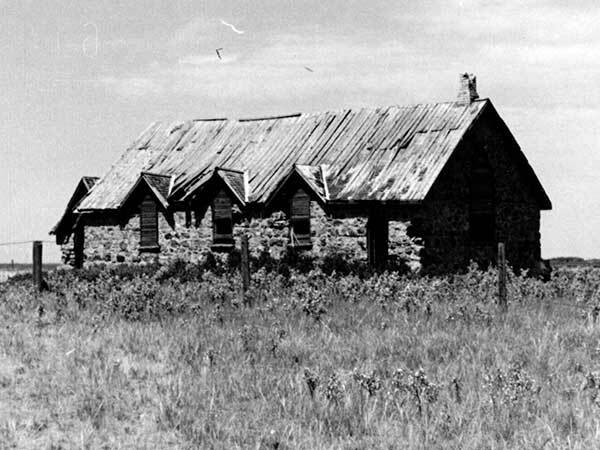 Local lore indicates that, during the years of Prohibition, the isolated location of the building and its close proximity to the American and Saskatchewan borders made it attractive to bootleggers. Efforts were made in 1932 to protect the building from vandalism, by boarding the doors and windows. Since then, the elements have taken a toll. Still intact in 1967, only remnants of the original walls were present at the time of a 2011 site visit. 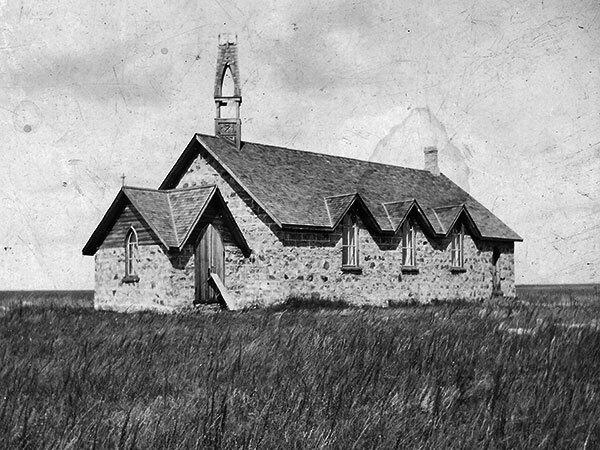 Source: Archives of Manitoba, Architectural Survey - Lyleton District. Harvests of Time: History of the R.M. of Edward by Edward History Book Committee, 1983, pages 146-148. We thank Phil Rippin for providing additional information used here.